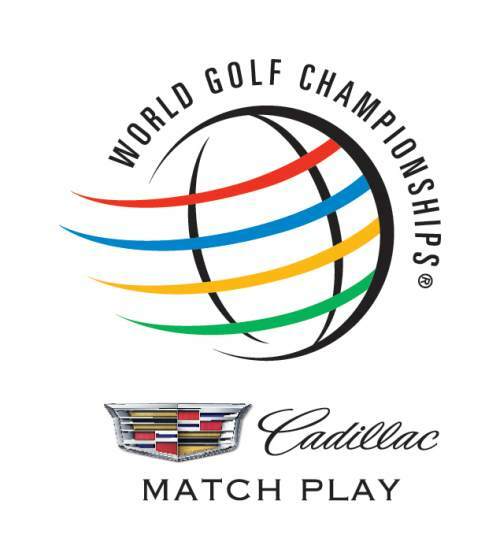 NOTE: The WGC-Cadillac Match Play Championship now is the WGC Dell Match Play Championship. Updated article at the link. In 2015, the WGC Match Play has a new sponsor in Cadillac, and a new format to please television audiences. Abandoning the single elimination format that often sent the stars home before the weekend, the new WGC Cadillac starts with a pool play format that will keep everyone around until Friday. The new format groups the 64 player field into sixteen four player groups. On Wednesday, Thursday and Friday, each group will play round-robin matches. The player with the best record in each group continues to the “Sweet Sixteen” on Saturday for single elimination. The “Elite Eight” matches will be held Saturday afternoon. Sunday morning will feature the Final Four, and the Championship and consolation matches will be held Sunday Afternoon. Another change is that the tournament moved from February in Arizona to April in San Francisco. In 2016, the Championship moves to Austin, Texas. The WGC Match Play Championship is the successor event of the Anderson Consulting World Championship of Golf, a 32 player, unofficial event played from 1995 to 1998. In 1999, the event became part of the World Golf Championship series, hosted by La Costa Resort and Spa in Carlsbad, California. It was held at that resort from 1999 to 2006, with a one year side trip to the Metropolitcan Golf Club in Victoria, Australia. That turned out to be unpopular, and it has not again left the United States. The WGC Match Play Championship was been held at the Gallery Golf Club in Marana, Arizona in 2007 and 2008. In 2009, it moved to the Ritz Carlton Golf Club at Dove Mountain, Arizona. I like Jason Day’s chances of going back to back this year. He’s having a solid year and played well last week. He also has the best win percentage record in match play of all the players in the field.